I’m curious what you think about having a translator on a website at all. I run a site that has 89% English speaking visitors. 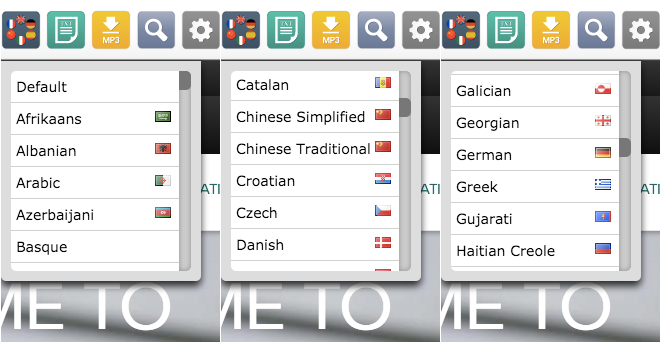 Many of the visitors of other languages are visiting in Chrome, which has its own built-in translation. Do you think it’s necessary to provide a translation option on my site for that remaining ~5%? It sounds like the needs of the many outweigh the needs of the few. Chrome autotranslate is great, and if the majority of your users are using Chrome, then it’s probably not worth the outlay of an extra translator. But Google Translate isn’t perfect, and if your site is of a specialist or technical nature, the translations might not be of a sufficient quality. Depends on your content really! People often mix up the South Africa country code, since it is “ZA” and not “SA” (Saudi Arabia). I’m relatively new to Recite (having started here in April) and I’ve only today been made aware of this piece. I wanted you to know that as a result of this, and other comments, we removed the flags from the dropdown menu. Thanks for pointing out the errors in the first place. Hi Martin, great to hear! Glad I could help.